I had previously attended an ANCDS conference and found it to be an excellent meeting with engaging talks in a more intimate setting compared to the ASHA convention. It was exciting to have all of the top researchers in adult neurogenics in the same room. 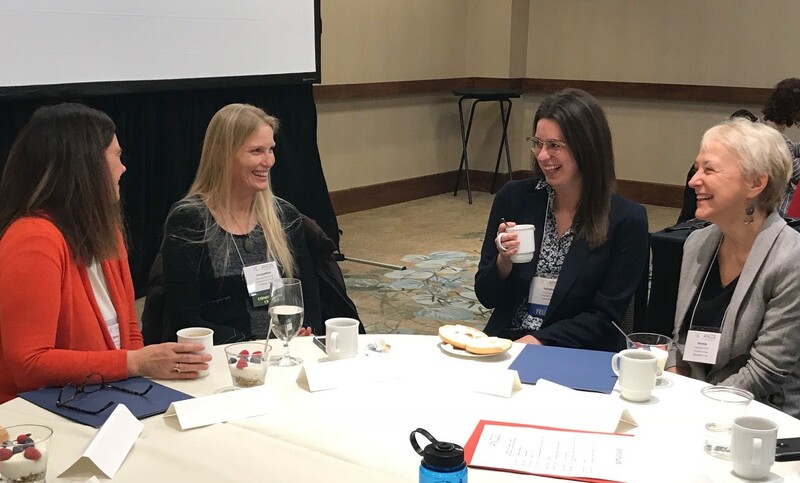 The fellow program itself allows for opportunities to network with established researchers in the field in a supportive environment and helps to offset the costs of adding an extra day to ASHA travels. I strongly recommend the ANCDS fellow program to students interested in neurogenic communication disorders. What did you enjoy about the ANCDS Annual Meeting and other Fellow perks? Attending the meeting with my conference mentor allowed for many opportunities to discuss my dissertation project and receive valuable feedback. This year’s talks were fantastic, and the question and answer session following each talk was thought provoking. I also welcome any opportunity to meet other doctoral students from across the country: these peers will be my future colleagues in a few short years! I’m also looking forward to taking advantage of the ANCDS webinars available to members for CEUs. My dissertation study aims to characterize the learning and memory profiles of a large sample of individuals with traumatic brain injury. At present, clinical practice in TBI rehabilitation rests on an untested set of assumptions about the memory and learning systems that are impaired and intact in TBI. Several widely-used treatment strategies (e.g. errorless learning) rely on the assumption that declarative memory is impaired following a TBI, while procedural memory is intact and can be engaged to support learning in memory-impaired individuals. However, my pilot data suggests that patients with TBI do not have uniformly spared procedural memory. My dissertation project will characterize procedural memory and declarative memory using a battery of neuropsychological and experimental tasks and then determine whether patients can be clustered into memory and learning profiles. The ultimate goal of my research is to better tailor communicative and cognitive interventions for individuals with TBI by accounting for the heterogeneity that is a hallmark characteristic in this population. At present, an imprecise understanding of how to match patient characteristics to treatment strategies hinders accurate assessment and application of efficacious treatment. My research addresses these limitations by combining large sample sizes with an individual-differences approach, leveraging the heterogeneity in TBI rather than being constrained by it.